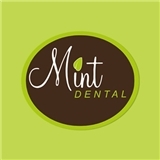 Mint Dental (Washington) - Book Appointment Online! Mint Dental offers a full array of Dental services to help you maintain excellent oral health and a beautiful smile. Very engaged, thorough, personable. Did a great job educating & advising us. I had a tooth extracted, which could hardly be pleasant, even under the best circumstances. Still, all things considered, the procedure went well. Dr. Bradshaw and his assistant are very patient, they work slowly and deliberately, and I felt pretty much at ease throughout the 1-hour appointment. I have the utmost confidence in Dr. Bradshaw and the entire staff of Mint Dental.